Only a couple hours from Richmond! the project will be completed by the end of June. I bet your son will be glad that you finally came back to get him out of the tree as well. tinypiney wrote: My 16th birthday, perhaps? Geezh, Tiny, didn't know you was getting to be so 'old'. Just where has the time gone ? Soon enough, Tiny.....Time will go faster than you think. Before you realize it, so many yesterdays will have gone by and you will wonder where they went. Oh no, that sounds scary...! And time often goes faster as one gets older. Last edited by Grover on Tue Feb 07, 2012 8:45 pm, edited 1 time in total. But don't let us 'Oldsters' scare you, Tiny. You got tons of good times ahead. I got Grandchildren your age & they're doing fine. So will you. Just be cautious not to get stuck in one of those trees. And be very cautious when visiting lighthouses in trees!! 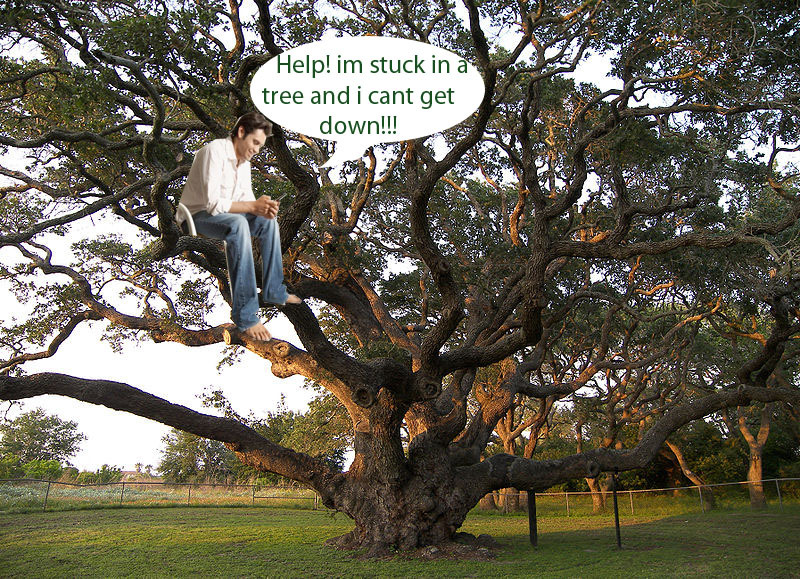 Concerning trees, climbing can often be much more easily accomplished than the subsequent and necessary "un-climbing".